I would like to inform you that your application for employment with GR8 Security Limited has been successful and I would like offer you the position of Security Officer / Keyholder. However before this offer can be confirmed you are required to complete the attached Medical Questionnaire and where applicable a Senses Test. Please note that is a conditional offer and cannot be confirmed until this process has been satisfactorily concluded. 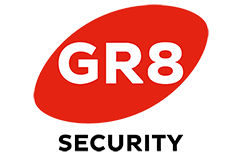 May I take this opportunity of welcoming you to our company and hope you enjoy working with GR8 Security Limited. I hereby authorise GR8 Security Limited to contact my doctor to verify the above information.